Making a webpage as a bookmark on Google Chrome makes ease to open any website. But, wait. Did you know that you can create a shortcut of a website on your Google Chrome web browser? Obviously, not. Well, you can add your favorite site by creating their shortcut on the desktop or other folders. 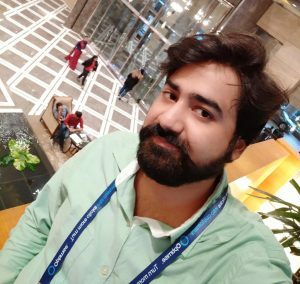 There is a way to create website shortcut on desktop chrome. We are going to discover the way about which we will be able to create website shortcut on desktop chrome on any Windows PC/Laptops. In this section, you will be introduced to a quite simplest way to create website shortcut on desktop chrome. 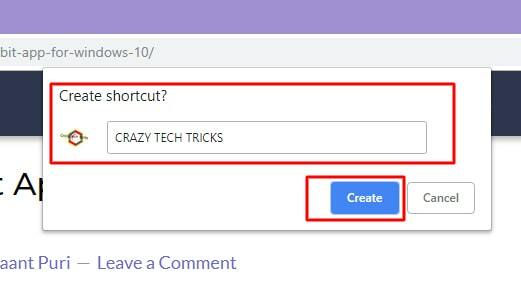 I have listed a step by step guide by which you will be able to add or create website shortcut on desktop Chrome web browser. 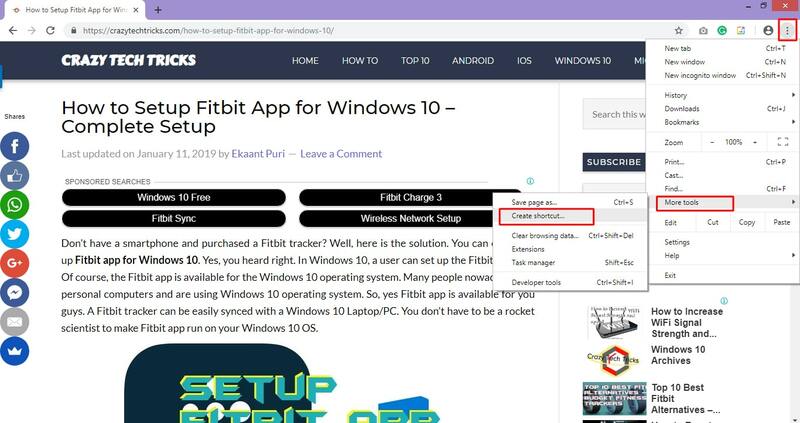 Once you have added these shortcuts to your Google Chrome web browser, then you will be able to open your favorite websites in a single click. Let us move on to the method without wasting time and create website shortcut on desktop chrome. Open Google Chrome web browser on your Windows PC/laptop. Now, open a website whose shortcut you want to create on your Chrome web browser. Then, click on Three dots which is at the top right of the chrome browser. After that, click on More Tools option. Now, click on create shortcut option from the sublist on the More Tools option. 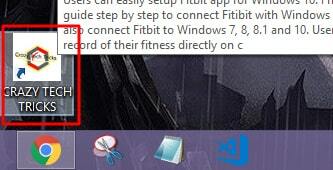 A small windows will popup where you have to enter the name of the website. Now, go back to the home page of your desktop, and you will find that shortcut has been created. In previous versions of Google Chrome web browsers, there was an option available to create an application shortcut on Google Chrome. Unfortunately, Google Chrome has removed this option from new versions of the Google Chrome web browser. You can say that now you can not create an application shortcut on Google Chrome. Earlier in 2016 option was present. But, now the developers of Google Chrome web browsers have removed it. However, if you would like to get this option again, then you can send feedback to Google Chrome using this link. We have seen that how we can create website shortcut on desktop chrome. We can also create an application shortcut on Google Chrome from now onwards. Creating an alternative of favorite websites to access them in one click is the best way. 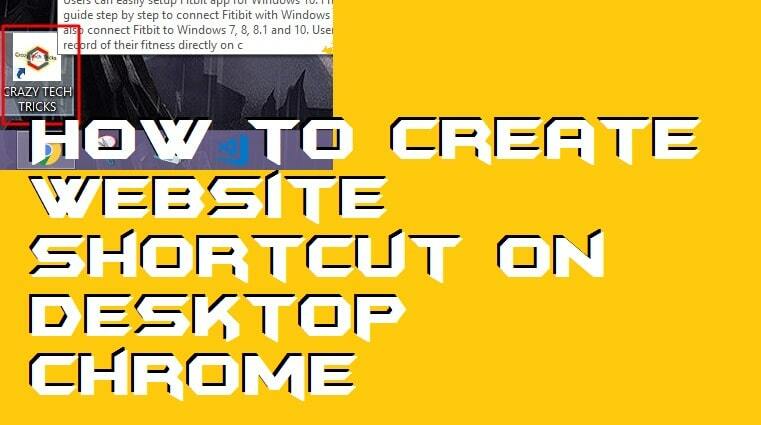 I hope now you have successfully learned that how to create website shortcut on desktop chrome Windows pc/laptop. Make sure that you share this article with your friends and family members too. Such that they can also learn how to create website shortcut on desktop chrome Windows PC/laptops.